Good Doggy Photography designs a website to highlight their dog photos. 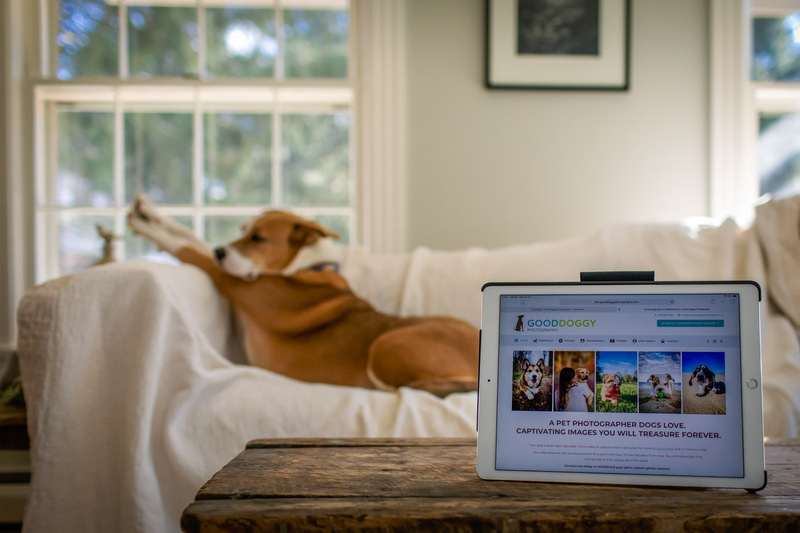 I am incredibly happy to announce the launch of my brand new Good Doggy Photography web site! My vision was of a web site that is both beautiful and functional for those who are interested in hiring me as their pet photographer and that it showed clearly that I absolutely love what I do – taking pictures of dogs who are adored by their people! Many thanks to Alex of Foreground Web for his time and his talent in bringing the new web site to light just as I had envisioned it. In addition to the new design of the site, we’ve updated the portfolio with more adorable photo sessions, added some of your very kind testimonials with pictures, and featured both a Signature and a Boutique Photo Session option. I’ll be adding more stories in my blog as well – stay tuned for more! I hope you enjoy browsing the new site. Please contact me should you have any questions.